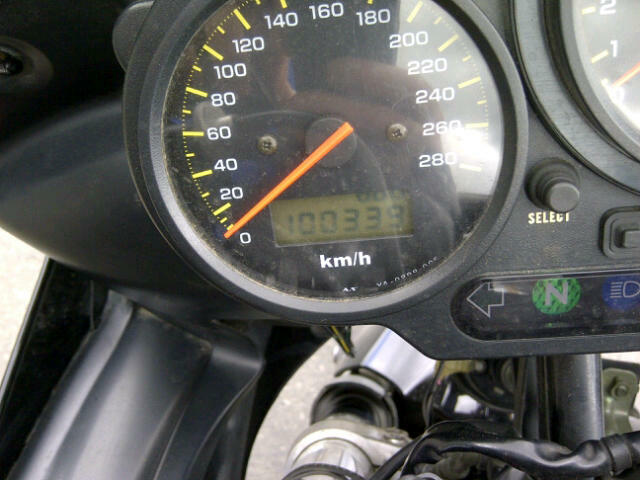 Kevin hit a milestone mark recently on his 2003 Yamaha FZ1. 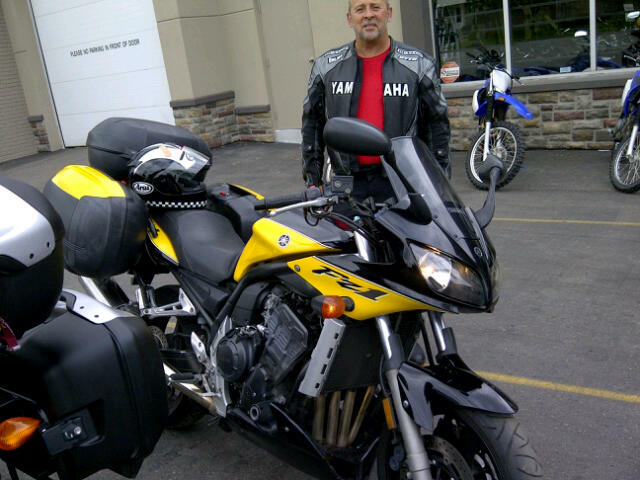 Purchased new in 2003 his FZ1 motorcycle now has 100,339 kms! Since he stopped by the store today, we took a photo of his speedometer to show you. What does he think of his FZ1? "Love it, no major repairs just routine maintenance and lots of adventureous riding". FZ1 riders are like that. As you can see by the saddlebags he is an avid tourer making the trip to Deal's Gap and back last summer. 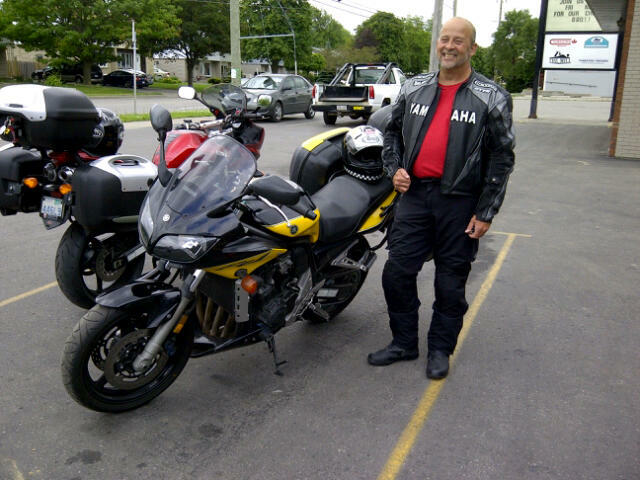 Kevin can be found weekends teaching motorcycle rider training at Canadian Motorcycle Association in Hamilton. Good Job Kevin J. 100,000 KM. Can't wait for Ma Biake to hit 100,000 KM only 84,900 to go.